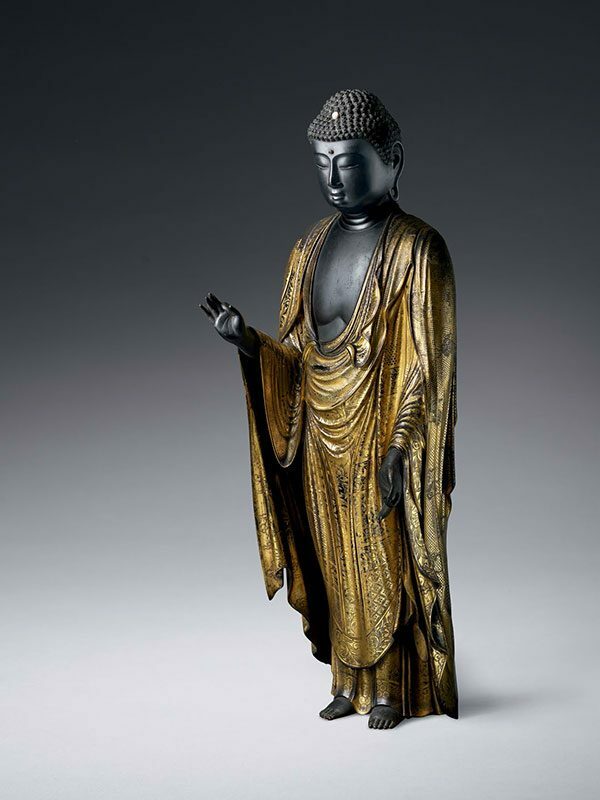 A large wood figure of the Buddha, depicted standing, dressed in elaborately folded, patterned robes, which cover the shoulders, fall open at the chest and leave the feet exposed. The face has a serene expression and symmetrical features, a sensuous mouth and a long, straight nose. The hooded eyelids almost cover the inset painted eyes and are surmounted by arched eyebrows. The ears have long pendulous lobes, the ends of which are pierced. A small semi-precious stone on the forehead between the eyebrows indicates the third eye of spiritual vision. The head is covered in tightly coiffed curls, and is crowned by a prominent cranial protuberance, the front of which contains a small, pink-coloured stone. The Buddha’s right hand is raised whilst the left hand is extended forwards, palm upwards. The index fingers and thumbs on both hands are joined and together these hand gestures indicate raigo mudra (the mudra of welcome). 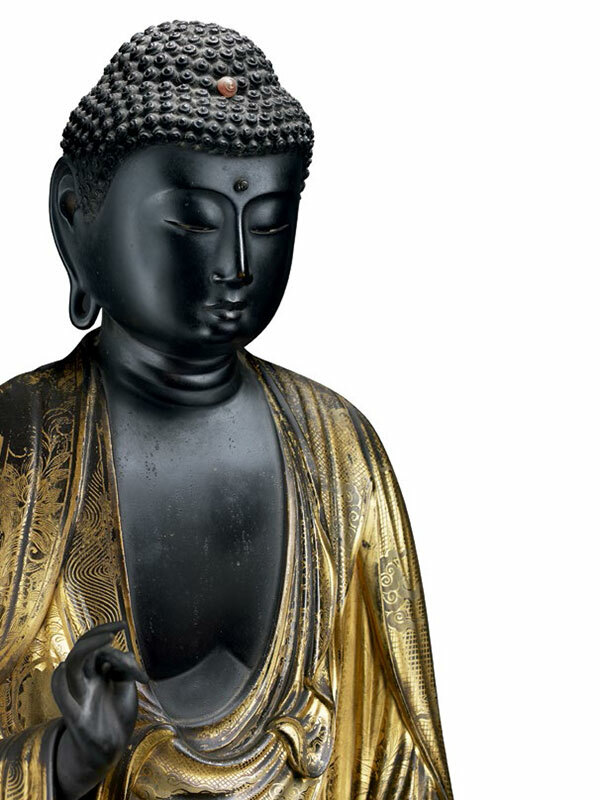 The Buddha itself is covered in black lacquer. His robes display different motifs, including starburst diapers, floral, cloud and wave patterns, and are covered in a thin layer of bright gilding, exposing the black lacquer underneath in places.